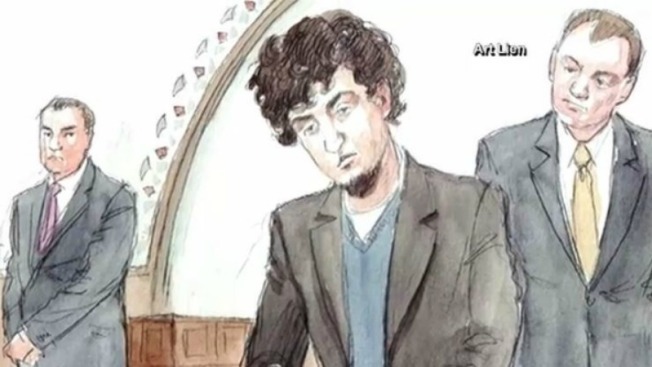 The official sentencing for Dzhokhar Tsarnaev will be held on June 24. A jury last month sentenced the convicted Boston Marathon bomber to death for the 2013 terror attack. The decision set the stage for what could be the nation's first execution of a terrorist in the post-9/11 era, though the case is likely to go through years of appeals. The 12-member jury had to be unanimous for Tsarnaev to get the death penalty. Otherwise, he would have automatically received a sentence of life in prison without parole. Some of Tsarnaev's victims will be able to address the court and Tsarnaev directly. Tsarnaev himself will also have the option of addressing the court and Judge George O'Toole. Meanwhile, prosecutors are seeking a seven-year jail term for one of the three friends of Tsarnaev. Dias Kadyrbayev is scheduled to be sentenced next week. He pleaded guilty to hiding evidence and impeding the bombing investigation. The family of slain MIT officer Sean Collier says Kadyrbayev might have prevented their son's death by helping authorities find Tsarnaev. Killed in the bombing were Lingzi Lu, a 23-year-old Boston University graduate student from China; Krystle Campbell, a 29-year-old restaurant manager from Medford; and 8-year-old Martin Richard, who had gone to watch the marathon with his family. Massachusetts Institute of Technology police Officer Sean Collier was shot to death in his cruiser days later. Tamerlan Tsarnaev died days after the bombing when he was shot by police and run over by Dzhokhar during a chaotic getaway attempt.